Fancy a flavour fusion? 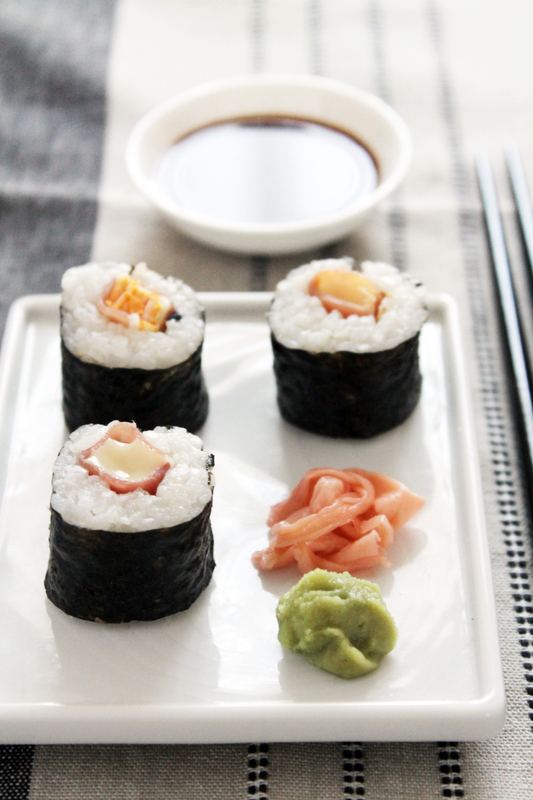 Try these amazing makis with Petit Brie ILE DE FRANCE® and cured ham! Rinse the rice in a sieve under cold water for 5 mins until it turns clear. Put the rice in a pan with water and cover. Cook on low heat for around 10 mins (until there is no water left) then remove from heat and leave for another 10 mins in the pan to finish cooking. Turn the rice out onto a large plate and add the vinegar, salt and sugar and mix continuously to help cool. Cut the Petit Brie ILE DE FRANCE® into thick strips and roll them in the ham.